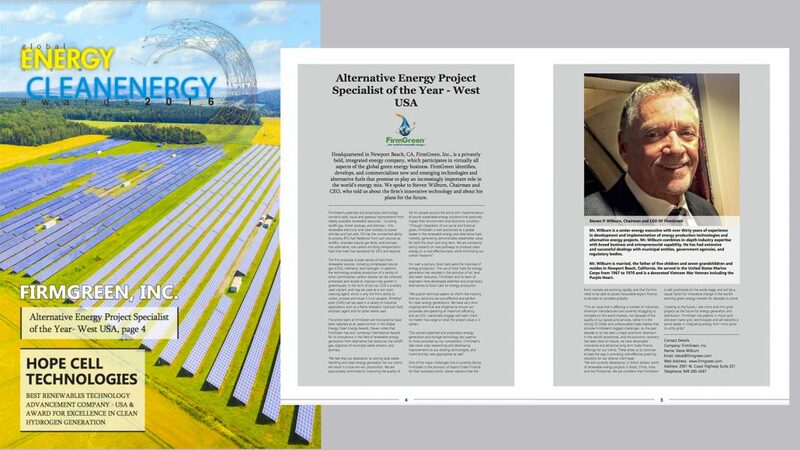 FirmGreen is pleased to announce that it has been recognized by Global Energy as the winner of its Alternative Energy Project Specialist of the Year – West USA. The entire team at FirmGreen is honored to have this recognition. The company has won numerous international awards for its innovations in the field of renewable energy generation from alternative fuel resources such as landfill gas, digestion of municipal waste streams, and biomass.